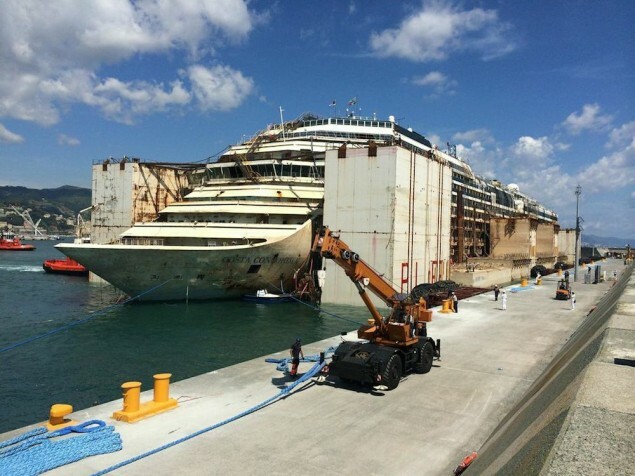 The salvaged remains of the cruise ship Costa Concordia arrived in Genoa on July 27, 2014. 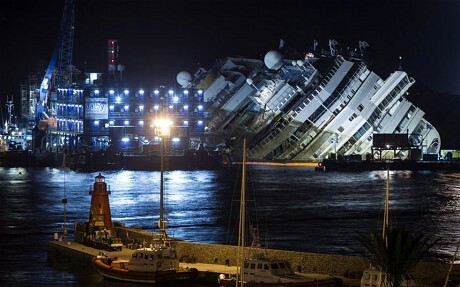 The vessel was able to make the four-day journey from Giglio to Genoa without issue even when storms passed over the vessel during the voyage. 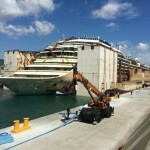 The Costa Concordia will be scrapped in a Genoa dry dock. Salvagers have stated the vessel will take up to 2 years to dismantle. It’s the most expensive salvage at a cost of 1.5 billion (USD). 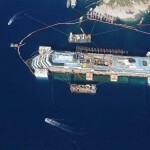 Officials have confirmed that the parbuckling of the Costa Concordia has been completed after a 19 hour operation and the ship is now sitting in its final upright position on underwater platforms. 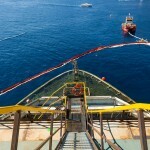 Oil booms were placed around vessel to contain any pollution or oil trapped in the ship, but no spill was spotted during the operation. 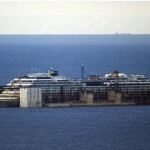 The next step in the Concordia salvage is to stabilising it and preparing for it to be re-floated. Giant buoyancy tanks will be attached before it is towed away for scrap in the following months. 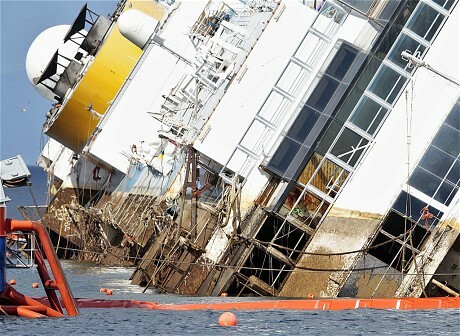 Salvage operations may take up to 12 hours with the live stream continuing through September 17, 2013. After the parbuckling procedure is completed, the salvage may continue for an additional month while crews prepare the vessel to be re-floated using the the giant buoyancy tanks welded onto her hull.